Teresa Gerleman and Henry Fields mystery train murder suicide. Pictured, Belle Plaine, Iowa mother Teresa Gerleman and her eight year old son, Henry Fields. Image via Facebook. Belle Plaine train murder suicide: What led to Teresa Gerleman a local mother pushing her eight year old son, Henry Fields onto an oncoming train before also jumping herself? 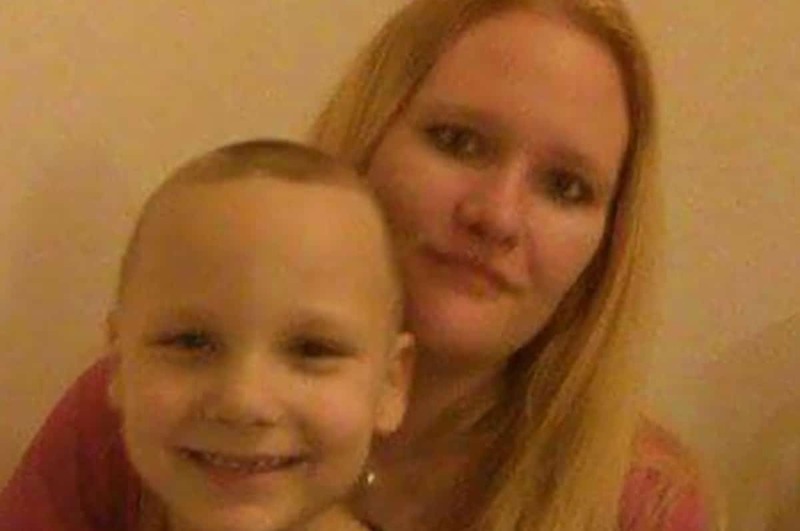 Iowa investigators have determined a Belle Plaine mother intentionally pushing her eight year old son in front of an upcoming train before also jumping to her death earlier this month in a suspected murder suicide. Killed was 36-year-old woman, Teresa Gerleman along with her infant son, Henry Fields, on May 4th. 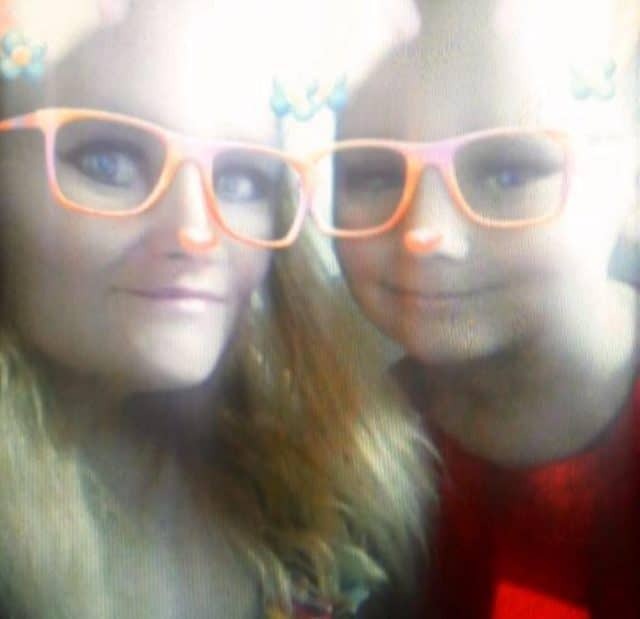 Mother and son’s deaths followed the mother posting a final update on Facebook of both her and her son wearing orange rimmed glasses (see image above). Whotv reported investigators coming to the murder suicide conclusion following interviews with witnesses, a search of Gerleman’s home, along with video from the scene. Video showed Gerleman waiting near the railroad tracks for the Union Pacific train to approach. Footage captures the mother and her eight year old son crossing the tracks, only for the mother to return to the center of the tracks as the train came closer. At the last minute, she grabbed her son and pulled him into the path of the train. KCCI reported both mother and son being pronounced dead at the scene circa 5am. Officials said it was unclear what provoked the murder-suicide. ‘We don’t know what tipped the scale or caused her to go down this path,’ Special Agent Rick Rahn told The Gazette. Gerleman’s uncle said that the family was stunned the woman would kill her young son. Following the tragedy, friends and family created a Facebook page titled ‘In Loving Memory of Teresa Gerleman & Henry Fields’ as a tribute. A post on the page stated Gerleman was dealing with family issues and had just recently moved to Belle Plaine. It remained unclear who the boy’s father was along with the dynamics between the father and the the child’s mother. Relatives have since conveyed there will be no funeral for Gerleman. 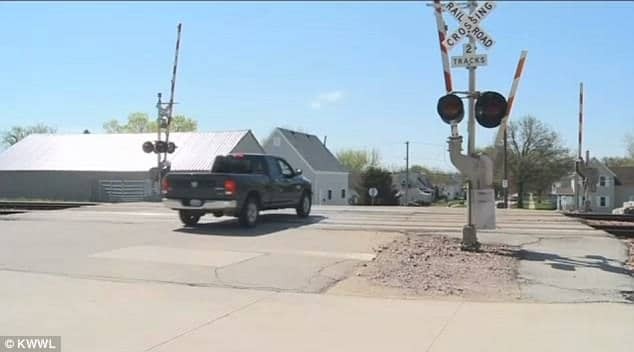 Pictured the area where Teresa Gerleman stepped into the tracks at the 9th Avenue railroad crossing in Belle Plaine, Iowa.